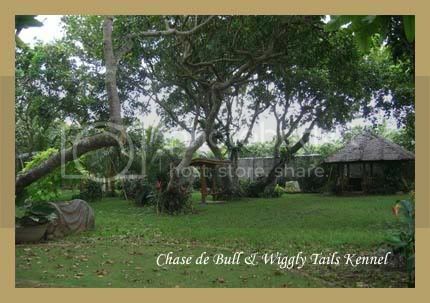 Chase de Bull Kennel is a Select show kennel in the Philippines and proud home of healthy, placid, attractive, intelligent, show & companion Bullmastiffs. I strongly believe & feel that the word Breeding should be in sync with passion, development, love & satisfaction. PASSION. It is my objective to yield not many but select puppies that are compact, moderate in size, with flawless top lines, wrinkly heads & exceptional movement. Worthy to be at par with the best of the best. DEVELOPMENT. Quality is our game & not quantity. We strongly advocate breeding for the betterment of the breed & not just to propagate. We continuously search for the best bloodlines that will improve and compliment my breeding program to become successful with our passion. If you share this perspective & ready to take on the wonderful opportunity to render care for these two breeds, we are open for reservations. The three of us are very grateful for your interest in our frenchies & bullmastiffs. If you have any questions regarding these magnificent breeds, you can drop us an email, we’ll try to do everything we can to assist you in selecting the new addition to your family. Today, there have been 105876 visitors on this page!